The FX and CFD market is extremely competitive, with hundreds of brokers offering virtually similar services. So, when virtual currencies like bitcoin, ethereum, litecoin and others became popular, some brokers began to offer their trade. Now, there are a number of such FX and CFD brokers who offer cryptocurrency trading in addition to their usual services. We like that you can now find all these trading instruments under one roof, but what we don’t appreciate is how some brokers can take advantage of traders. If you have an interest in trading cryptocurrencies, you have only two options, find an exchange or trade it as a CFD. The first option is straightforward and the same as buying stocks at a stock exchange. There are now hundreds of exchanges around the world that offer the two hundred or so cryptocurrencies available. If one is in your area, just walk in and do your trade, otherwise, you can do it online and keep your assets in a virtual wallet. It sounds simple, right? It really is, but then you have another option. Trade cryptocurrencies as CFDs. It was Archimedes who said, ‘Give me a lever and a place to stand, and I will move the earth’. He meant that with leverage, it is possible to move a very large load, and some cryptocurrencies are incredibly large loads. At the moment, a single bitcoin is valued above $3,400; and although you can still buy less than a whole, wouldn’t it be nice if you could? An exchange will never offer you leverage since you are buying the actual cryptocurrency, but an FX and CFD broker can. That means you can trade a huge number of bitcoins even with a small margin. Be careful, though, because leverage can work against you. Besides, cryptocurrencies are incredibly volatile; for example, Ethereum value dropped from $319 to 10 cents within seconds. In such situations, high leverage can wipe out your account instantly, which is why good brokers like Trade.com will limit your leverage until you can prove that you know the risks. Meanwhile, others like Libertex (read more about Libertex opinions here) will let you run wild with 1:500 leverage that can easily wreck your account. All your actual cryptocurrencies from an exchange are stored in a virtual wallet. These have been known to be hacked, in which case you lose all your investment. And what if you lose your private key? There is no way to recover your cryptocurrencies, and again, you’re screwed. On the other hand, you can trust a broker with your investment, especially if they have an excellent track record like eToro. It’s hard to imagine such a reputable company messing with someone’s capital, especially considering that they have more than 5 million clients around the world. In addition, they have to maintain security, meaning that your capital is always kept safe. You would expect to pay something extra at an exchange, usually in the form of a commission. This is usually 5%, but can even be higher depending on your location. 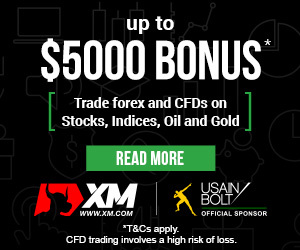 As for FX and CFD brokers, all you’re usually charges is the spread, and this is often kept low because these brokers have to remain competitive. However, some FX and CFD brokers like Admiral Markets will still have wide spreads at a 17-pip minimum. Over time, these spreads add up to a costly trade, although there are still other affordable options. A few issues in this section have already been mentioned, such as security and cost of trading. These can be easily identified by looking at the company’s background and their previous customer reviews. You also need to look through easily overlooked details. Try and go through the XTB brokers’ website and you will see plenty fake awards they gave themselves. They might claim to be the winner of the best broker at cryptocurrency trading, or best trading platform, but you don’t actually find the award show. These are signs of a broker trying to lure in naïve traders, and they often get defrauded. Then there are other items you have to look deeper to find, like their quotes. 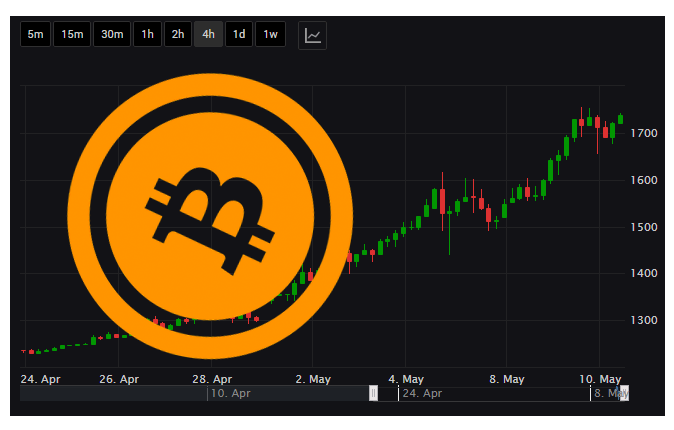 For example, compare the quoted price for bitcoin on Markets.com with those on Libertex and there is a stark difference. How can that be when it’s the same bitcoin? Part of the reason could be that they track bitcoin value on different exchanges, but there shouldn’t be a really big difference. Even so, just pick the broker who you see provides the values closest to those provided by reputable cryptocurrency exchanges. Do not be discouraged as you search for an FX and CFD broker with whom to trade cryptocurrencies, the good apples are out there. Neither should you take any leap until you have done your due diligence, there are monsters in the shadows.